Herbert V. Nootbaar, longtime friend and benefactor of the Herbert and Elinor Nootbaar Institute on Law, Religion, and Ethics at the School of Law, passed away on December 18, 2016. He was 108. Born on November 8, 1908, in Chicago, Illinois, to a Dutch-born and German-educated middle class family, Nootbaar’s parents relocated to Eagle Rock, California, in 1920. Soon after, he began working at his grandparents’ Los Angeles orange grove, a location that has since become the busy intersection of Santa Monica Boulevard and Western Avenue in Hollywood. Upon receiving his diploma from Glendale Union High School, Nootbaar landed a position at California Grain & Feed Association, a company that manufactured commercial animal feeds and breakfast cereals. He eventually earned a promotion to spearhead the company’s operations as president and in 1946 opened H. V. Nootbaar & Co., a commercial scientific research firm in Capistrano Beach, California. Nootbaar’s ties to Pepperdine reach back more than 50 years, when he interacted with former Pepperdine president M. Norvel Young and his wife Helen. In reconnecting with Pepperdine through Helen Young and her daughter Sara Young Jackson, senior vice chancellor at the University, Herb and his wife Elinor presented a generous $6 million gift to the School of Law in 2007 to endow the Herbert and Elinor Nootbaar Institute on Law, Religion, and Ethics; fund the Herbert and Elinor Nootbaar Dean’s Office; and support the William French Smith Memorial Lecture Series. The institute was named after the couple on November 8, 2007, marking Nootbaar’s 99th birthday. They later donated an additional $4 million to further support the work of the Nootbaar Institute—making them among the most generous couples in the law school’s history. In addition to their notable gifts to Pepperdine, the Nootbaars gave generously to many other causes throughout California, including the Herbert and Elinor Nootbaar Ronald Reagan Presidential Library Courtyard in Simi Valley, California, and the Herbert V. Nootbaar Baseball Office and Hall of Fame Complex at the University of Southern California. Throughout his life, Nootbaar traveled to 126 countries, made countless influential acquaintances such as U.S. Supreme Court Chief Justice John Roberts, and was a close friend of former American first families Ronald and Nancy Reagan and George and Laura Bush. In 2014 Nootbaar was awarded the Ellis Island Medal of Honor, which pays homage to 100 immigrants and their children each year and commemorates their contributions to the United States. That same year, he was presented with a Lifetime Achievement Award from the Lincoln Club of Orange County. Nootbaar is survived by his son, John; daughter, JoAnne; stepson, Gary Barker; 18 grandchildren; and 28 great-grandchildren. A memorial service for Nootbaar will be held on Wednesday, January 11, at 2 PM at Laguna Presbyterian Church in Laguna Beach, California. 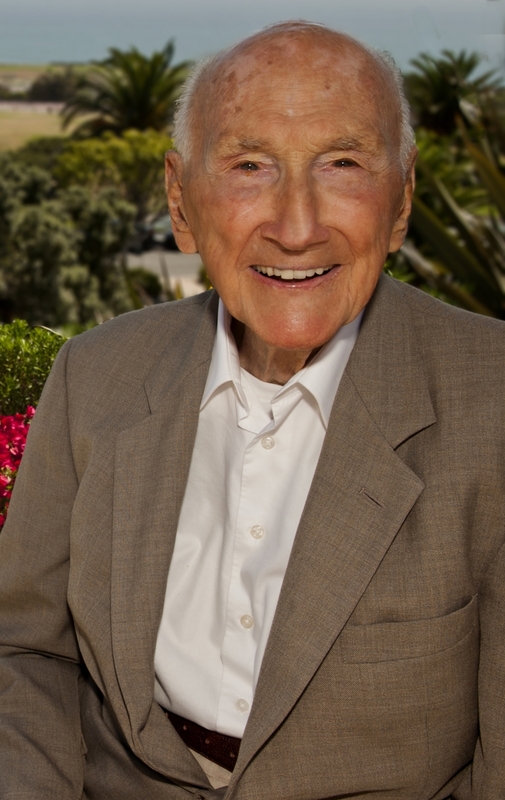 In lieu of flowers, the family requests that donations be made in Nootbaar’s memory to the Herbert and Elinor Nootbaar Institute on Law, Religion, and Ethics: Pepperdine University, ℅ Office of the President, 24255 Pacific Coast Highway, Malibu, CA 90263.